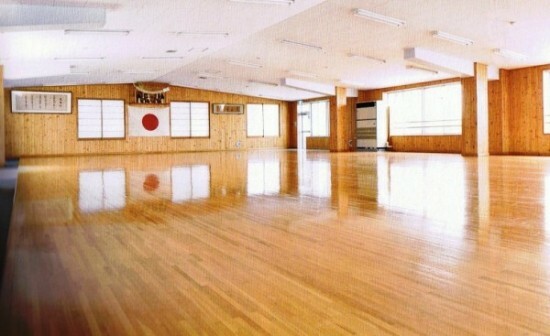 The word dojo literally means ‘Place of the way’ or ‘Training room’. The dojo is considered to be a very special place and should be treated with respect. To uphold the tradition of karate-do there are rules of conduct and standards of etiquette which we follow. Strive to learn the correct dojo etiquette and endeavour to apply the principals of karate in your interaction with instructors and fellow karate-ka. The observation of the basic forms of etiquette is essential to the creation of a respectful and attentive atmosphere, which is conducive to learning. Help to keep the training area clean and tidy. Keep your karate gi clean. Keep fingernails and toenails trimmed. All jewellery and sharp objects must be removed before engaging in karate training. Instructors are to be addressed as “Sensei” (teacher). Class leaders are to be addressed as “Sempai” (senior). Show kindness to karate-ka weaker than yourself, and guide beginners in the right manner. Be humble. Be a good example to others and use your strength nobly. For reasons of safety, respect and courtesy, always listen carefully and follow the Sensei’s instructions. Students should always respond with ‘OSU’ when the instructor has demonstrated a technique or given an instruction. If you are late, wait for the Sensei to signal you to join in. Every class begins and ends with a bow, which is a form of greeting and respect for your fellow karate-ka, seniors and Sensei. Bow to your partner at the commencement and end of a training exercise as a form of gratitude and respect. Always arrive at the Dojo with sufficient time to prepare mentally for the class.